While the adoption numbers of Microsoft’s Windows 8 platform have been relatively impressive, many consumers have struggled to adapt to the new tiled interface. It’s not particularly complicated by any means, but the significant changes made from Windows 7 mean there is a bit of a learning curve involved for anybody looking to be just as productive on the latest and greatest OS. 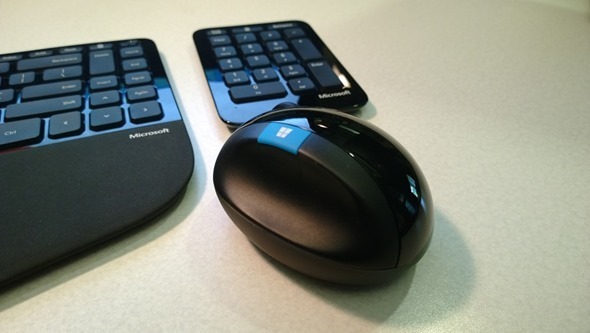 To aid the continued transition, Microsoft has just dropped an all-new keyboard and mouse package that is, the company says, tailored to suit the needs of Windows 8 users. 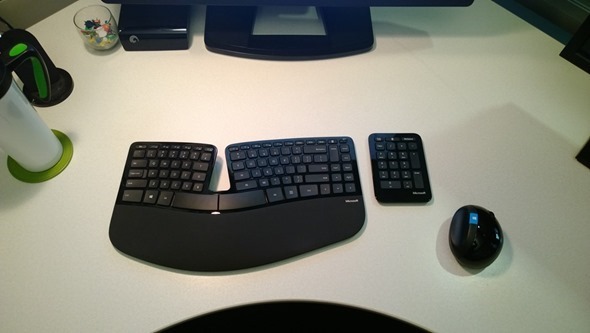 The new Sculpt Ergonomic Desktop, which is the all-encompassing name for the keyboard and mouse package (both are also sold separately), might look a tad different from your usual keyboard-mouse combo. While ergonomic products are built for comfort and thus, rarely shy away from breaking convention, the Sculpt Ergonomic Desktop range – in particular the keyboard – are about as unusual a bundle as you will find. 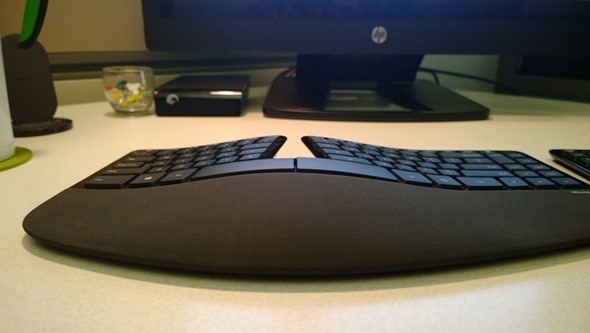 Not only is the Sculpt Ergonomic keyboard split in the middle to allow each hand a very defined region for typing, but the domed shape of the peripheral seeks to better resemble natural shape of your hands when you’re using it. You can readily adjust the height of the keyboard if you’re looking for a bit more comfort, making for an overall very versatile product. 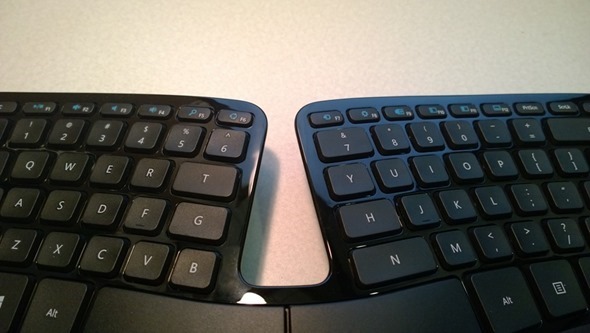 Because it’s built for Windows 8, you get your convenient set of Charm keys along the top, and although there’s no number pad to the right-hand side, one will be sold separately for the numbers droids out there. Meanwhile, the Sculpt Ergonomic Mouse follows tradition with its comfortable thumb rest – a marquee feature of any ergonomic mouse. There’s also a Windows 8 key placed conveniently for quick access to the Start Screen, and although there are an abundance of comfort-loving mice out there already, this one does look a good purchase if you’re on Windows 8. The keyboard and mouse will be available as a package costing $129.95, and should hit Microsoft’s online store in the next couple of days. If you want to pick up either / or,the keyboard will drop next month for around $80.95, while the mouse will likely arrive late August for $59.95.